The Department of Culture and Tourism – Abu Dhabi (DCT Abu Dhabi) recently gathered the emirate's top tourism industry leaders together with DCT Abu Dhabi’s overseas office teams for the seventh edition of its annual Destination Promotion Department’s Overseas Programme Event to discuss upcoming initiatives which will be launched in the capital over the coming months. 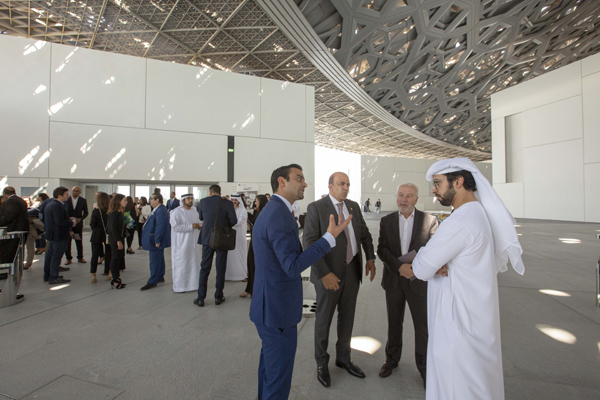 Hosted at Louvre Abu Dhabi, 150 participants from entities including hotels, attractions and Destination Management companies explored a wide range of topics, including upcoming events and initiatives. The OSO Event - 2019 was led by Sultan Al Dhaheri, Tourism Sector executive director from DCT Abu Dhabi, along with stakeholders from Louvre Abu Dhabi, the Abu Dhabi Special Olympics, as well as the core teams leading on the Europe & Americas Market Access Programme, the Asia Pacific & Australia Market Access Programme and the Middle East & Africa Market Access Programme.